Friday night I came home about 10 pm. It was late, but I was hungry and keen to relax for a bit before going to bed. I put the rice cooker on and then stepped out to the nearby convenience store to pick up some juice, which I'd run out of the night before. Convenience stores in Japan are 24 hours which is nothing short of wonderful for late-night working researchers. I came back to a terrible smell. My first thought was that I'd turned the stove on and left a tee-towel or plastic container resting on the heated ceramic surface. My second thought was that the rice cooker had exploded. The third was that the cat had exploded. None of the above proved to the true. The stove was turned off, the rice cooker seemed to be bubbling normally and the cat appeared fine, as did her litter box. I stuck my nose down the sink, in the rubbish bins, behind the sofa, in the fish tank and in the fridge. Admittedly, for something of that ilk to have kicked up such a stink while I was at the shops, some crazy mutant bacteria would have had to be at work. However, after eight months living in Japan, nothing really surprised me anymore. The only point I could conclude was that the stench was coming from the kitchen. Perhaps my downstairs neighbours were trying to determine which of their waste was 'burnable garbage' in the most obvious fashion. I opened the balcony doors and tried to breath through my mouth until the rice cooker finished. It was only then that I discovered the source of the smell. I'd put cat biscuits in the rice cooker. I'd love to tell you there was a typo in the above sentence, but there is not. I had put cat biscuits in the rice cooker. 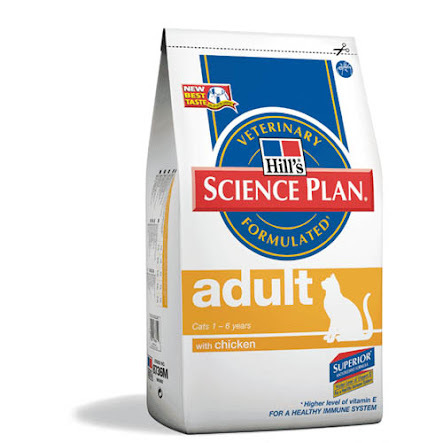 For the record, Hill's pet science diet should not be cooked in a rice cooker. What is more, I'm prepared to postulate that this would apply to any heating device. I can confirm categorically that it was not a good choice to put with the sea food stir fry I was planning. I stared at the vomit-coloured lumpy mess and realized there was only one possible conclusion. Teaching has sent me insane. It's sad, people. But it's true. Oh dear. Guess you were more tired than you thought. Did you start over or give up? ... but then I imagined I could still faintly smell the cat biscuit vomit in the rice cooker once I'd cooked the rice. This rather put me off, so I only ate about half the meal and then gave up. Rice cooker pot went for an overnight soak and I've aired the apartment... this gave me more confidence in my meal tonight! I gotta say, the cat biscuit cookery was an error. PS: What, pray tell, did Tallis say about this event? She didn't say much but sat by the window when I opened it! Wow, I guess you WERE tired. Don't worry though, I personally think it happens when exhaustion kicks in. I once did something like that, only what I did was to put salt in my orange juice instead of sugar (lol). On the other hand, you might be right. Work does make you a little bit insane sometimes.